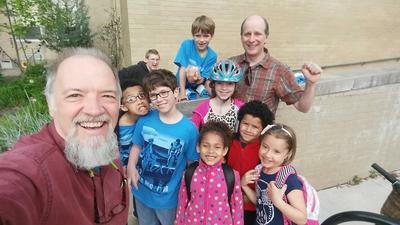 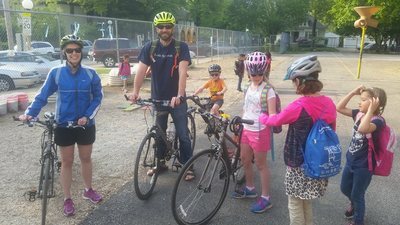 This year's National Bike to School Day (May 10) was a beautiful day for biking! 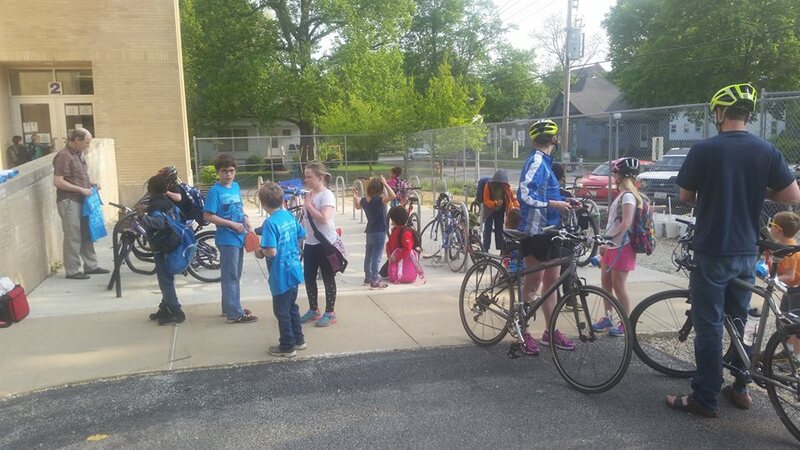 We have 73 students from 17 schools registering for this event, and many more who biked though without registering. 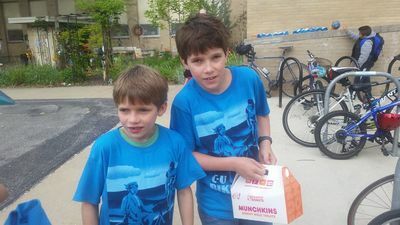 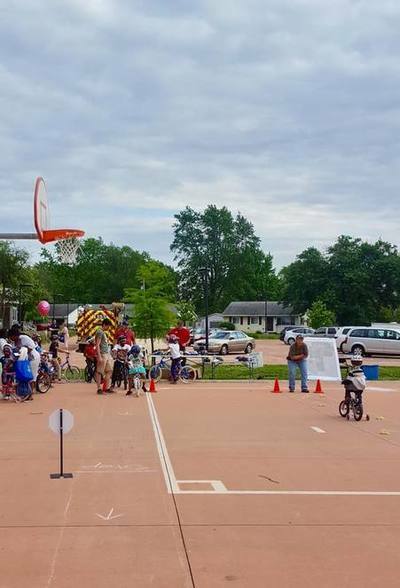 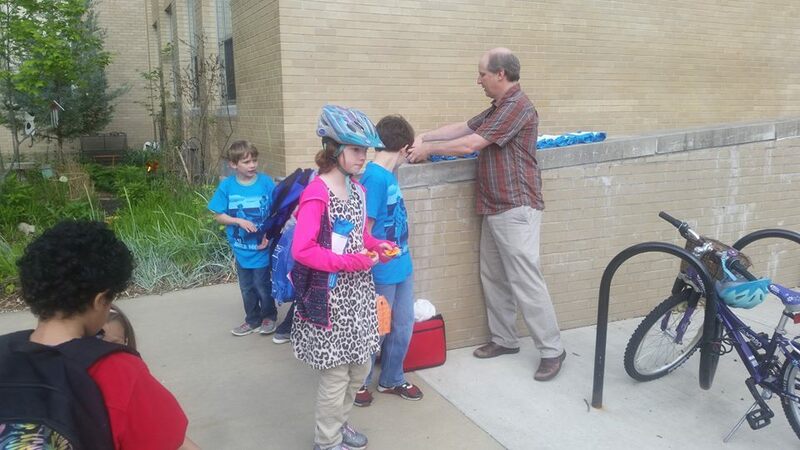 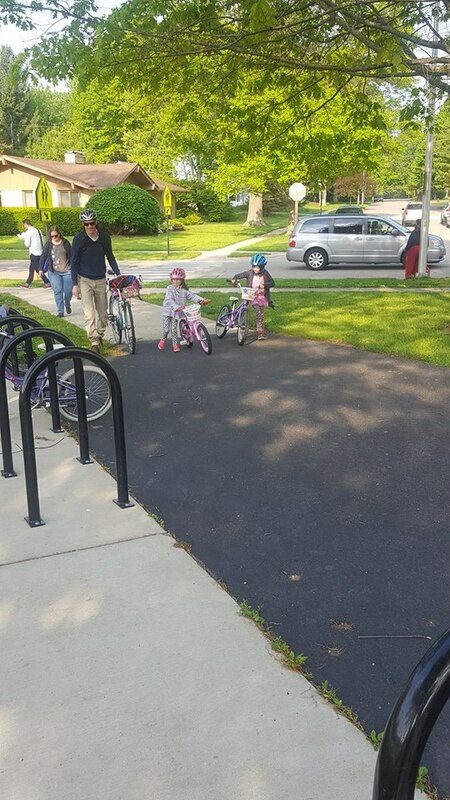 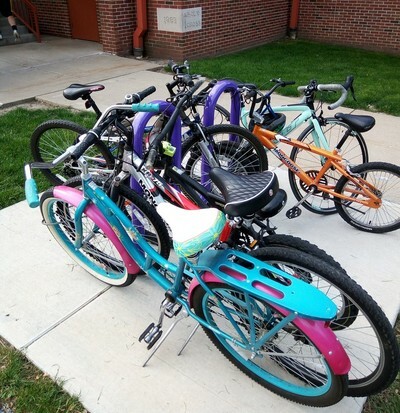 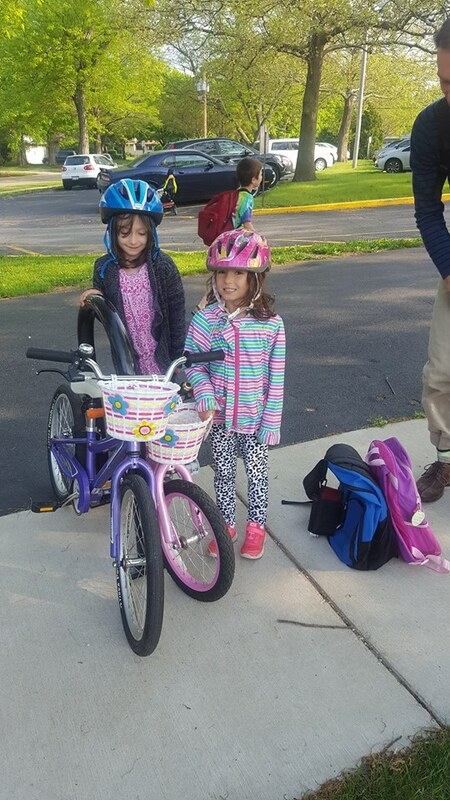 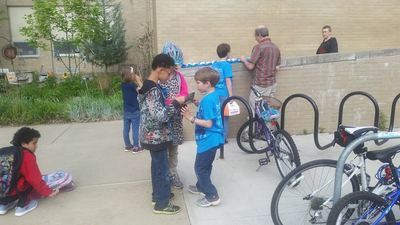 Volunteers went to 6 schools around Champaign-Urbana handing out Bike Month T-shirts, backpack reflectors and bike maps to students, and had a great time with them sharing the joy of biking to school. Frank Modica, who volunteered at Thomas Paine Elementary this morning, talked about our Bike to School Day this year when interviewed by Urbana Public TV. 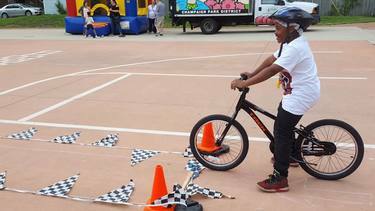 We had a great and fun Spring Fling Bike Rodeo at Garden Hills Elementary on May 22 with 77 students joining us. 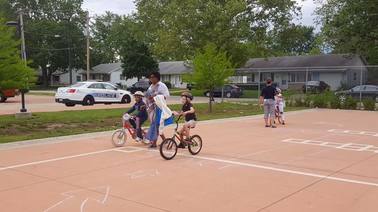 Student practiced biking skills including starting and stopping, rock dodge, scanning, signaling, turning and yielding at eight stations. 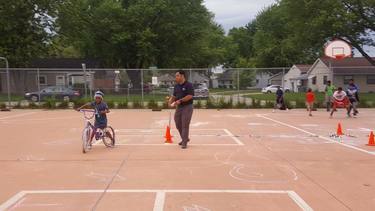 They also had fun in the Snail Race slow bike riding. 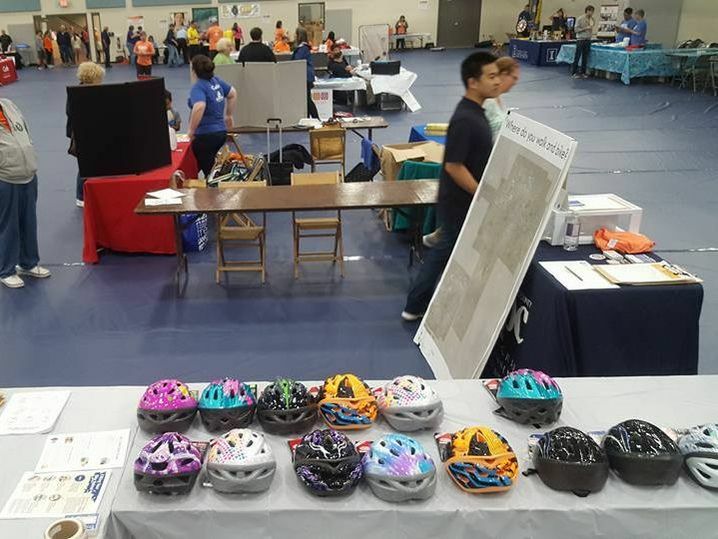 Thanks Champaign County Bikes and all the volunteers for helping organizing this wonderful event. 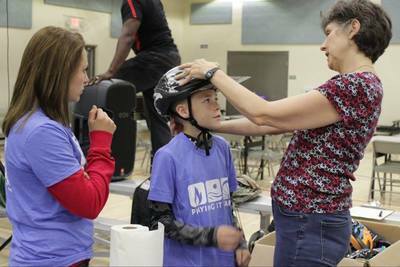 The outdoor bike rodeo of Carle's Playing It Safe at Leonhard Recreation Center was unfortunately cancelled due to bad weather, but we were able to move inside and provide helmets fitting and selling to many potential bike riders in the community. 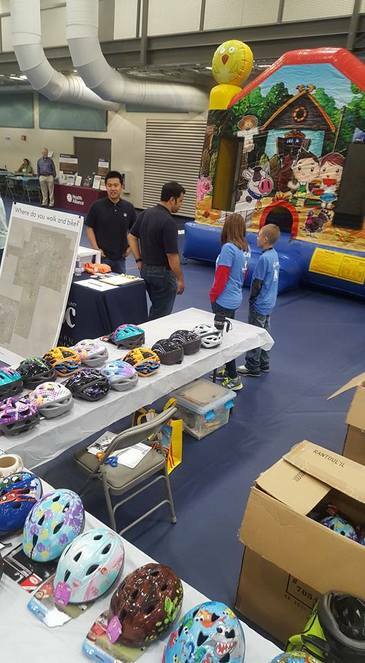 A lot of exciting activities were going on inside the gym with more than 30 booths teaching children safety tips. We sold over 25 helmets on that day - which means 25 people are much safer on their bikes!